I’m going to do you a favor and remind you that Mom’s Day is May 9th. Not that far away… Don’t panic! I have a fun and interactive date all picked out for you and your Moms. Most mother’s like to be pampered. Our store is hosting a pampering event for all those San Diego mothers out there! A hand therapy pampering event to be exact. Here is how it is going to go down. It will be on both Saturday and Sunday of Mother’s Day weekend (5/8/2010 and 5/9/2010) from 1pm to 4pm. They will have a table setup outside of their store. There they will use hand scrub to exfoliate customer’s hands and then will massage your hands with your choice of hand creams and cuticle creams. 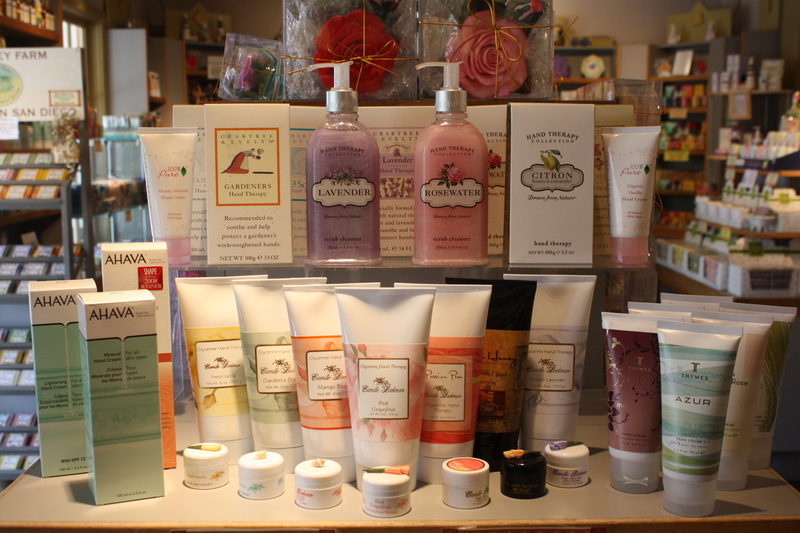 Customers will have the choice of Crabtree Evelyn hand scrub and hand therapy, Camille Beckman Glycerine Hand Therapy, The Thymes Hand Cream, Ahava hand cream, 100% Organic hand cream, Caswell Massey hand cream. Lots of fun stuff to choose from! Our store will also have coupons for hand care products available. If you feel so inclined to purchase a gift for your mom (hint: you absolutely should.) you can do it at a discount!